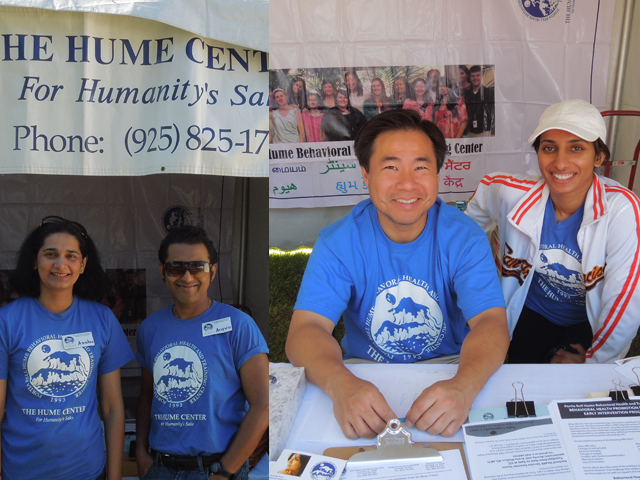 The Hume Center would like to thank India Community Center for the annual opportunity to particiate in Sevathon! Sevathon is a yearly fundraiser, health fair, outreach event, and cultural celebration wrapped into one very enjoyable day. The Hume Center is one of over 120 non-profit organizations to benefit from Sevathon. The proceeds from this event support our South Asian Community Health Promotion Services Program. This program aims to spread awareness about emotional wellness in the South Asian community. The Hume Center has participated in Sevathon since 2009 and hopes that you will join with 5,000 others and attend the next Sevathon on Sunday, August 19, 2018 to celebrate the spirit of Seva (Service)! Please come and support our South Asian Community Health Promotion Services program! 1. Run, Walk, or Yoga! Join Team Hume and run or walk in the 5K, 10K, Half-Marathon, or Yogathon. A portion of your registration fee is donated to The Hume Center. Plus, expand your impact on our services by asking others to support your walk or run and 100% of the donations you collect are donated to The Hume Center! REGISTER AT iccsevathon.org and select Hume Center as your charity! Volunteering is fun and easy. Either volunteer to staff The Hume Center's booth and spread the word about our services or volunteer to help India Community Center put on Sevathon as an ambassador from The Hume Center. Not in a position to lend money or volunteer hours to this event? That's okay, just attend Sevathon and enjoy the cultural shows, wonderful food, and camaraderie of the event. If you are not able to make it out to Sevathon but still want to celebrate the spirit of Seva and support our outreach efforts, please consider making a donation directly to The Hume Center on our website in honor of Team Hume. Our walkers and runners may be lifted to faster times due to the inspiration of your support. Indeed, your money will go to good use as it will be utilized to help support our programs providing Prevention and Early Intervention services in the community at local community, education, faith, and cultural centers. Click here to read about the South Asian Community Health Promotion Services Program.